I recently did a presentation at Kidsquest Children’s Museum in Bellevue, WA on how kids learn, titled Hands On is Brains On. It combines information on the basics of brain development, ideas about the important of offering a balance of learning opportunities, the benefits of free play, and the parent/teacher’s role in play-based learning. You can check out the powerpoint handout here, or, if you’re a parent educator, you can download a powerpoint presentation that you could edit and use in your own classroom. This entry was posted in Child Development, Early Learning / Preschool and tagged baby, brain development, early learning, learn, preschool, toddler on June 22, 2015 by Janelle Durham. Motor vehicle accidents are the second leading cause of child death in the United States. Proper use of the proper car seat can hugely reduce the risks. 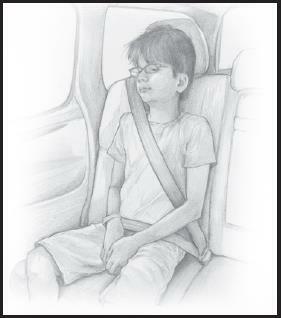 There are four stages of car safety restraints. To maximize safety, keep your child in each level of seat as long as possible, until they reach the maximum height and weight for that seat. Each stage provides less protection. Don’t move your child to the next stage until you have to. This is NOT one of the places where we want to rush our kids along to the next developmental milestone! Infant Seat. Weight from 4 pounds to 22 – 35 pounds and height up to 29 – 32 inches, depending on the seat. Convertible Seat. Weight from 5 or 20 pounds minimum to 45 pounds maximum rear-facing, maximum height 40 inches. 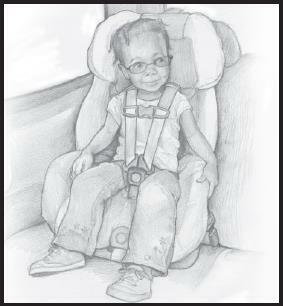 The American Academy of Pediatrics says “All infants and toddlers should ride in a rear-facing car safety seat (CSS) until they are 2 years of age or until they reach the highest weight or height allowed by the manufacturer of their CSS.” Riding rear-facing helps to protect a child’s fragile neck and spinal cord, and reduces the risk of severe injury by 75%. Should never be used for a child less than 20 pounds or less than one year old. Maximum weight 35 – 70 pounds. Max height up to 50 inches. You may find as your child gets older that they are riding in other people’s cars more often (for field trips, playdates, and so on). Make sure the person who is transporting your child knows how to install the seat or booster properly. Some parents choose to use an easy-to-install booster for these occasional trips once their child hits the minimum size, while continuing to use a forward-facing car seat with a 5-point harness in their own car for the majority of car rides. Up to 100 – 120 pounds. Maximum heights from 34 – 63”. 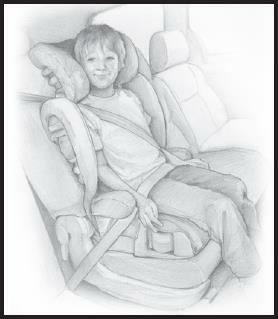 Boosters properly position the adult lap and shoulder belt for a child, so it provides proper restraint in case of an accident. Your car must have a lap and shoulder belt to use a booster. If your car only has lap belts, you can use a forward-facing car seat with a harness or see if shoulder belts can be installed in your car. There are backless booster seats, which are generally less expensive and easier to carry. There are high-back boosters, which should be used in cars without head rests or with low seat backs. If your child is 8 – 12 years old or at least 4 feet 9 inches tall, AND you can answer yes to these questions, then they’re ready to move out of a booster seat. When the child is sitting all the way back against the vehicle seat, do the child’s knees bend comfortably at the edge of the vehicle seat? Does the lap belt stay on the top of the child’s thighs, not on their belly? Is the shoulder belt centered on the child’s chest and shoulder (and not on the neck or throat)? Can the child stay seated this way for the whole trip? Without putting the shoulder part of their seat belt under their arm or behind their back? Front Seat. By Washington law, all children should ride in the back seat until age 13. Air bags are very dangerous to children riding in rear-facing car seats. 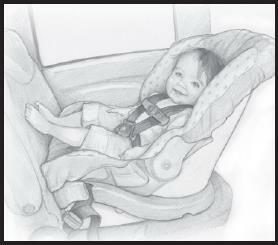 If your vehicle has a front passenger air bag, infants in rear-facing seats must ride in the back. If a young child must ride in the front seat of the car, check your vehicle owner’s manual to learn how to turn off the air bag. If your child is likely to be tall or heavy for their age, choose a seat with higher maximum weight and height to allow your child to use that car seat as long as possible. Install the Car Seat Properly. For a car seat to work correctly, it must be installed correctly. Check the web resources below for information on car seat installation, and read your car seat manual and your vehicle manual for tips. Once you’ve installed a seat, you can have it checked for free. See www.800bucklup.org/carseat/inspections.asp for a list of inspectors. Clothing. If a child is dressed in bulky clothing, the car seat may not properly restrain them in case of a crash. In the winter time, buckle your child into the seat without a coat on, and then place the coat or a blanket over the harness for warmth. Other Objects. In case of an accident, loose objects in the car can fly around and strike passengers, and if your child is holding a hard object, it could hit them, causing injury. Keep this in mind as you do your best to keep your car tidy and consider what your child has access to in the car. Be a Good Role Model. Always buckle up yourself. Always encourage all the other adults in the car to buckle up. Practice safe driving practices with minimal distractions. Your children will be driving themselves in just a few years, and they will have learned a lot about driving by watching you from the back seat. Make sure you are showing the behavior you want them to learn. For a printable handout of this information, click here. This entry was posted in Parenting Skills and tagged baby, car seat, Parent, safety, toddler on June 18, 2015 by Janelle Durham. I’m often asked for advice in choosing a child care or choosing a preschool. Here are some great resources about what to look for, and questions to ask. They also offer referrals to child cares in your area. http://families.naeyc.org/ – The National Association for the Education of Young Children. 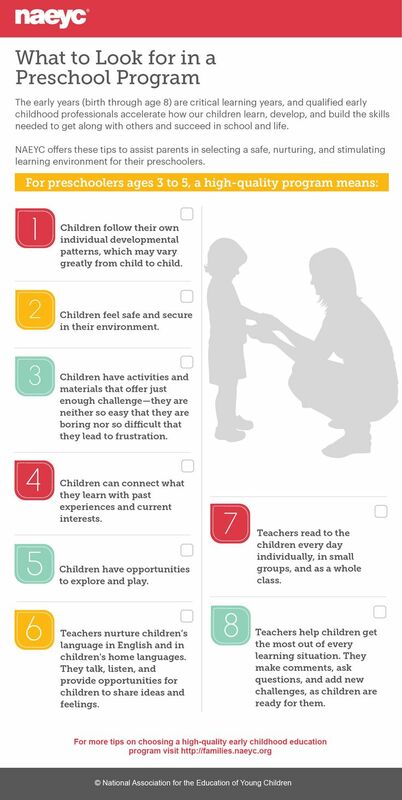 They have great resources on choosing child care (see the infographic at the top of the post). I like that they divide off sections on quality care for infants, toddlers, and preschoolers, because although you’re looking for many of the same things, there are also differences in what counts as quality child care for a 3 month old and a 3 year old. They also have a directory to search for NAEYC accredited child care centers and preschools. www.childcareaware.org: Child Care Aware of America. They have great articles on choosing child care, and also a state-by-state list of: agencies that do referrals, child care licensing regulations, inspection reports, resources for children with special needs, and more. A fabulous resource! For those who are using / will be using a family member to provide child care, here’s a couple good articles on setting clear expectations and resolving conflicts: Should you hire a family member for childcare, and When Family Members are your Child’s Caregiver. This entry was posted in Parenting Skills and tagged baby, child care, daycare, parenting, toddler on February 23, 2015 by Janelle Durham. 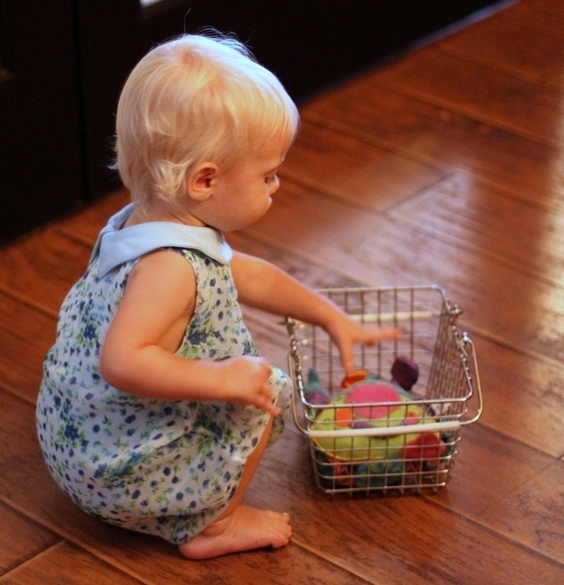 Have you ever known a child who was continuously filling up a basket and carrying it around the room? Or a child who loved to take objects and line them up in long lines? Or one who had a passion for throwing objects and would do throw all objects whether or not it was appropriate? Or one who only played with things with wheels? Those patterns of repeating behavior can be organized into “schemas” of play. What is a schematic behavior? Schema are building blocks for the brain. When a child is able to guide his own play, you’ll often see him exploring things in a predictable, repeated method, testing and experimenting with several objects in turn. This process helps him forge connections in the brain, helps him predict what might happen, and refine his understanding based on the results. Some children cycle through all of these schema every day. But some children will focus intensely on one schema for a period of days or weeks (or months). Parents may worry that their child is obsessed, or that she will never let go of this one way of interacting with the world, but this is normal developmental behavior. If a parent of caregiver can recognize which schema a child is currently most focused on, they can tailor learning experiences to appeal to those interests while still providing a breadth of learning experiences. Sometimes children will pursue their schema in ways that are inappropriate (like throwing things in an enclosed space, or climbing on the furniture) so it is helpful to have other ways to direct that “trajectory” urge or the “positioning” desire. Transporting. If you have a child who continually picks things up and carries them from place to place, here are some activities they may enjoy: Easter egg hunts or other gather-things-in-a-basket games; play in the bath with floating toys and a boat or basket to load them into; let them help with putting clothes into the washer and taking them out of the dryer; or helping to clear the table after a meal. Ask them to deliver items around the house (e.g. please put this cup next to the sink). Provide plenty of baskets, bags, boxes, and wagons to move things around in. It may help to put the majority of your small toys away while a child is in this phase so they have fewer total items to clutter the house with. Transforming. If your child mixes all their food together, and mixes paints together, and likes to get things wet to see how they change, here are some positive ways to play with transformation: containers of colored water they can mix, fingerpaints they can smear together, a container with baking soda in it and eye-droppers with vinegar they can drip in and create “fizz”. Let them help you with cooking – mixing up muffins and seeing how they transform when cooked. It may help to find ways to minimize mess – for example, instead of giving them four containers of fresh paint, you could put four dabs of paint onto a “palette” or dish of some sort where they can mix to their heart’s content without “ruining” the full containers of paint. Trajectory. If your child throws things, kicks balls, and drops things all the time, she is exploring trajectories – how things move through the air. She’ll probably love: paper airplanes, watching you play tennis or badminton (and fetching back errant balls), blowing feathers or scarves through the air, shooting baskets (tossing crumpled paper balls into the trash can), flying kites, chasing bubbles, bowling, splash painting (go outside with a bucket of water and a paintbrush – she dips the paintbrush in the water and swings it hard so the water splashes onto a wall or fence). If you know a friendly dog who likes to fetch, it may be a match made in heaven. (Although be aware of pet safety issues.) It may help to put away many of your breakable valuables while your child is in this phase, and/or to provide him with only soft whiffle balls to throw. Rotation. If your child loves cars, trains, and anything with wheels, and also loves to spin around, they enjoy rotation. He may like: unscrewing lids from empty water bottles, playing with a kaleidoscope, riding on a merry-go-round, spinning in an office chair, playing with water wheels, spinning things dry in a salad spinner, whisking scrambled eggs, playing with hula hoops, and drawing circles. These children may like playing with volume knobs or other knobs, so think about whether there’s anything you need to childproof. They also may like taking lids off containers, they may even figure out “child-proof” containers, so make sure medicines and chemicals are out of reach. Enclosure and Enveloping. Does your child love to hide under blankets, bury toys in the sandbox, and put things in boxes? Those are enclosure skills. Build forts together, save large boxes for them to hide in and to pack things in, set up tunnels, set up a tent to sleep inside, play with a parachute, give her a shovel and take her to the beach or a sandbox to bury things, save small boxes to hide things in. Play lots of peek-a-book or hide and seek. These children often hide objects, so be careful not to leave essential items (like car keys!) in their reach. Connecting. Some children love to build puzzles, assemble legos, and tape things together. Here are some ideas for things they can connect: tape together items from the recycle bin, make paper chains, punch holes in something and let them lace a ribbon through it, loop weaving looms, paper trains, construction toys of all sorts, dress-up clothes with buttons, zippers, snaps, and more. If you have a connector, be prepared to spend time untangling, untying, and prying apart! You may find it best to keep string, tape, and glue out of sight and out of mind. Disconnecting. Other children go through a phase of destroying things: knocking down block towers, scattering Legos, tearing apart books. Give them a bin full of paper they’re allowed to tear apart, try to re-frame your way of playing with blocks – know that it’s all about building something that they will enjoy knocking down, teach them how to use the dustbuster to clean up their messes, put them inside a big box with some styrofoam sheets to break up (the box contains the mess). Now is a good time to put away toys with lots of small parts (e.g. train set or the collection of toy food) for a while, because all they’ll do is scatter them. Position. Some children really like order: lining things up just so, and believing that everything has a proper place. They love “sets” of things that have a certain order they can be arranged in: alphabet blocks, number magnets, planets, and pictures of shapes with three sides, four sides, etc. They like peg boards, and stacking cups, and shape sorters. Putting things in order often calms them, but having someone mess up their order can be very upsetting, so help them learn to manage those upsets. If your child is currently “obsessed” with some schema, it can get tiring and frustrating to deal with, but remember that they are growing their brain, and organizing their ways of thinking about the world as they explore this schema again and again. What is a schema – includes descriptions of the schema, and then for each one offers activities to support that schema and key words to keep in mind while planning activities for kids working on that schema. Schemas – How to understand and extend children’s behavior. Includes examples of types of activities a child prefers based on schema and how to help an activity (e.g. cooking) appeal to kids depending on whether their focus is on connection, rotation, etc. Also, click on those three links in the first section of this post on “What is a schematic behavior” to learn more about brain development and play-based learning. I have made up a set of printable postcards describing these schema that you could hang about a children’s play area for parents to read while their children play. This entry was posted in Early Learning / Preschool, Play and Fun Activities and tagged baby, carry, play, preschool, schemas of play, throw, toddler on September 30, 2014 by Janelle Durham. The Toddler’s Perspective – they see the world differently than we do! I love this video of toddlers who are scared of (or combative with) their own shadows. But as funny as the video is, I think it also illustrates a point well. Toddlers have limited experience of the world, and because of this, they simply see the world differently than we do. They have developed theories based on their life experience, and our “rational explanations” may not always jive with their theories. I thought of this once when I was trying to get my 3 year old out the door for story time. I kept saying “We have to hurry. Story time is happening right now, and if we don’t go, we’ll miss it.” And he didn’t understand. Then I thought about it from his perspective. As far as he can tell, it’s ALWAYS story time at the library! EVERY TIME we’ve ever walked through those doors, we walk into the story time room, and then in the next minute or two, story time starts. It’s like they wait for him to get settled in, then they start. So, since he “knows” that story time will always be there for him, he doesn’t see a reason to give up the fun game he’s playing right now to go there. My role as a parent is to explain things so that he develops his understanding of the world, and refines his theories of how things work. But, I also have to remember to be patient with him as he does so. When he’s not listening to my “rational explanations”, I try to stop and think about why they don’t make sense to him and then find a new way to explain. This entry was posted in Child Development and tagged baby, brain development, perspective, toddler, understanding on July 27, 2014 by Janelle Durham.